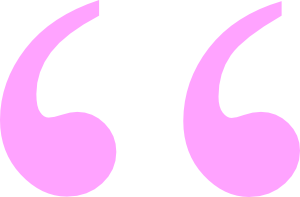 "Experience is that marvelous thing that allows us to recognize a mistake when we make it again." I bought a new iPhone 4s on October 15 of this year, one day after they became available here in the U.S. I fell instantly in love with this fantastic machine and the more I use it and the more I find out about it the greater my love for it grows. I'm going to take a rather unique approach in writing this article on iPhone 4s Tips and Tricks. I'm only going to write about things I didn't know about before I started digging into the intricacies of the iPhone 4s and it's many applications. 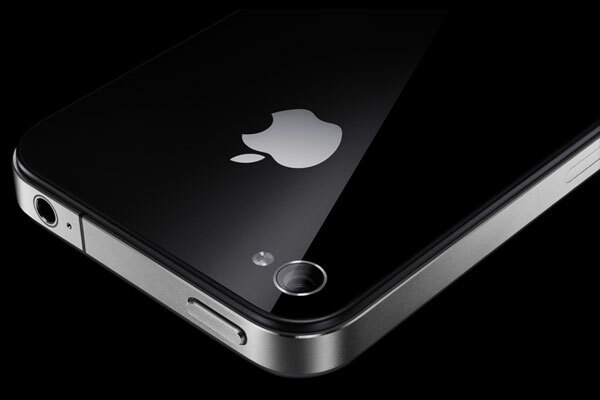 In writing this article on iPhone 4s Tips and Tricks, I'm going to make a rather rash assumption. I'm going to assume that because I didn't know this or that about Apple's iPhones in general and the iPhone 4s in particular, then you probably didn't ether. I realize that by writing this article this way I'm going to leave myself open to criticism for leaving out a lot of information some people will think should have obviously been included. But why waste my time and yours on things we already know. Let's see if we can learn something new. And by the way, while most of what I'll be writing about is specific to Apple's iPhone, a lot of the information in this article is applicable to Android and Win 7 phones as well. The iPhone 4s comes with a set of earphones. Six inches below the right earbud is a tiny set of three buttons that you can pinch with your thumb and forefinger. The top button turns the volume up and the bottom button lowers the volume. The button in the middle is used to pause the audio program you were listening to so that you might answer and end an incoming phone call, for instance. On the backside of the three buttons there is a tiny microphone which allows you to use your phone while wearing your earphones. All of this works even when the phone is locked, by the way, because you can play music on a locked phone as well as take phone calls. You can use the center button on your earbuds to do other things as well. As I mentioned above, you can press the button once to pause a song to take a call. Press the button again to resume listening to your music. Press the button twice quickly to skip to the next song or press it three times quickly to return to the previous song. Press the center button twice and hold to fast-forward and press it three times and hold to rewind.If you get a call you'd rather not answer, you can press and hold the center button for about two seconds and then let go. The iPhone will register the call as a regular missed-call. Here's something else you may not have been told when you bought your new iPhone. The charger that comes with every iPhone doubles as a PC or Mac docking device. Just pull the cord away from the end of your charger that plugs into an AC source and viola, there's a USB port connecter. So just plug the thing into your phone like you do when you want to charge it and plug the other end into a USB port to dock your phone to your PC or Mac. I didn't know until just recently that if you double click the home button on the locked screen of an iPhone 4s, you get the option to take a picture immediately. Just tap the camera icon to the right of the un-lock slide on the bottom of the screen and start snapping away. 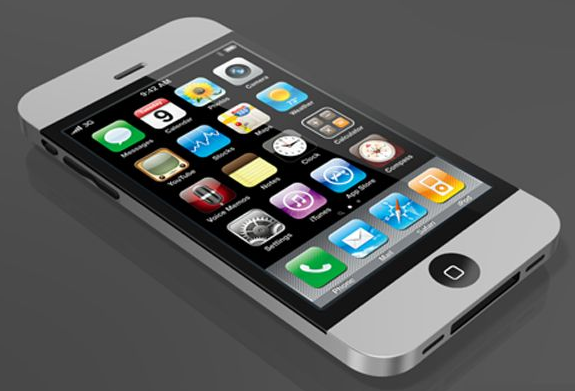 Double clicking the Home Button on a locked iPhone 4s will also give you instant access to your iPhone Music app. Double clicking a locked iPhone 4s will also give you access to Siri (more on Siri later) so that all you need to do is double click a locked iPhone 4s and hold it to your ear as if you were using the device for a phone call and Siri will engage. Another thing that is not too intuitive is how to save a photo on an iPhone. Let's say you come across a photo you want to save to your phone. You could use an icon on the bottom of the page to email it to yourself. But gosh, that seems so like the way we did things back in 1999. And then I finally figured out that the way to save a photo to your iPhone is to not tap but touch and hold your finger on the photo. This will give you an option to copy the image to your phone's clipboard so that you can later paste it into another application or document on your phone or save the image. When you choose to save the image that image will be placed on your Camera Roll in your iPhone's Photo's App. So, O.K. I'm a dummy but these were some of the things about my new iPhone I had to scratch my head about for a little while before I figured them out. Your iPhone 4s knows where you are at all times even if you don't. You can open the Map application on your iPhone Home Page to find your current location or you can say to Siri something like "Show a map of where we are now" and Siri will open the map application with your current location pin-pointed. Apple uses GPS, Wi-Fi, and cellular towers to offer up very precise locations. In Maps touch and hold a location on the map to "drop a pin" to find an address and directions from where you are now to the location you've just specified on the map. You can then get the application to chart directions from where you are now to the location you've selected. Double-tap or pinch to zoom in and out. If Street View is available on the map you are looking at, you'll see a human icon that you can tap to go to Street View. The Compass app works with the built-in digital compass to tell you which direction your iPhone is facing. And in the Maps app, the compass rotates the onscreen map to match the direction you’re facing. Another thing I didn't know until recently is that it isn't really necessary to have to type in your Apple password every time you want to download something. If you'd rather not have to be bothered with that just tap the Settings app then scroll down to Store and tap it to expand it. Now make sure that Music, Apps and Books all read On instead of Off. If you misplace your phone or it's stolen you can trace its whereabouts on a friends iPhone or iPad. Or better yet, if your phone is stolen, the police can do this for you. But you need to make sure this feature is enabled on your iPhone 4s. 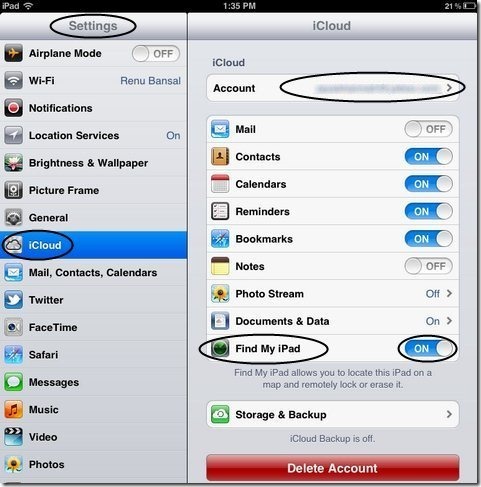 To do so go to Settings then iCloud and make sure that Find My Phone is turned on. The Find My Phone app used to a third-party app. The Find My Phone app was thought to be so important by Apple that they automatically included it in all their iOS 5 devices of which iPhone 4s is one. If you have an older iPhone that isn't running iOS 5, I strongly suggest you download the Find My Phone app. Again, for iPhone 4s owners, you already have this app pre-installed. You just need to make sure that it's activated. I've already admitted I'm a dummy, right? For the life of me I couldn't figure out how to use the zoom on my new iPhone's camera. Why doesn't the camera zoom in when I tap on the screen? So here's what I managed to find out. When you tap on the screen in iPhone's camera application, you will be presented with a small white square. This tells the application where you want to focus. When the camera is presented with more than one object at various depths of field, taping on one object will focus on that object. But in order to zoom in or out you need to put your thumb and forefinger together and slowly move them apart. This will zoom the camera. When you do this you will be given a slide bar that you can use to more precisely configure the zoom. Is Siri The New Google? Just a few weeks ago I put up a piece I called Smart Phone Voice Recognition Is the Future in which I wrote about Siri. As I'm sure you know, Siri is an intelligent software program and knowledge navigator that functions as a personal assistant application on Apple's iPhone 4s. Siri can do a lot of things but she will not open apps on your phone. I just now asked her to take a photo and she said, "Steven Jay, I'll leave the picture taking to you." Humm, when and how did she learn my middle name? Speaking of Siri learning your name, she'll call you whatever you ask her to call you. So be careful about what you ask Siri to call you. If you say to Siri, "Call me a taxi" she will dutifully find taxi companies near your location and offer to call one of them; but if you say "Call me an ambulance" Siri will say "O.K. from now on I'll call you 'Ann Ambulance' O.K.?" Then you need to say "Cansel" otherwise she will think that's your name. Siri can be good in emergencies though. You can say "Call the police" and she will say, "I found six responders. Whom should I call?" and Siri will list your nearest police department, county sheriff, 911 and fire department among other emergence responders which include, yes, ambulance services. Here's how to use Siri to shoot up a Tweet for you. First you need to add 40404 to your contacts list under the name "Twitter." Then just text "START" to that number, then respond with your username and password. Now anytime you want to Tweet by voice, you can say "Text Twitter". You can do pretty much the same thing to send an update to Facebook via Siri. Add "Facebook" to your contacts as 32665. Then tell Siri to text Facebook with whatever status update you want to share. You can tell Siri "I love you," she'll quickly respond: "I hope you don't say that to your other mobile phones." Tell her again that you love her, and she fires back: "You hardly know me." Or she may say "I'm flattered. Could we get back to work now, Steven?" Of course Siri can "answer" all sorts of serious questions. Some questions like "What year did the Viet Nam War end?" will result in Siri performing a standard Google Web search dead-on precise. Ask Siri "Who was the 13th President of the United States?" and Siri says "Let me see if I can help you with that" and instantly she provides you with the information from Wolfram Alpha with whom Apple teamed when compiling Siri. The coupling of Siri and Wolfram Alpha is what makes Siri so good at math among very many other things. If you say to Siri, "938 times 52 divided by 96", Siri might say "Hmm, let me think." and then "This might answer your question." The answer is almost instantly displayed on the screen - 508.08333333333. For some people Siri is reason enough to buy an iPhone 4s. Siri is only a three-month old beta search engine that is extraordinarily powerful now but will become even more powerful as Apple continues to add her already prodigious capabilities. Google is worried about Siri and rightly so. Here's why. Say you were sitting around with friends a few months ago and someone asked, "What team won the World Series in 1967?" Someone would use their phone to Google the answer and Google would have gotten paid for the ads that appeared on the page they clicked on to find that answer. Plus, it would have taken over half a minute to find the answer. But today, Siri can find the answer in less than 5 seconds and she uses Apple's servers along with those of Wolfram Alpha and there's no ads so your information loads almost immediately. The bottom line for Google is that Google doesn't get paid when people begin using Siri to search for an ever widening variety of information. Siri is a young and soon to be very powerful search engine that Google is very concerned about. The competition between Apple's iPhone and the many fantastic Android phones on the market is fierce and that's good for us as consumers as this can't help but lead to better products at lower prices in the future. But who's ahead in that competition right now? 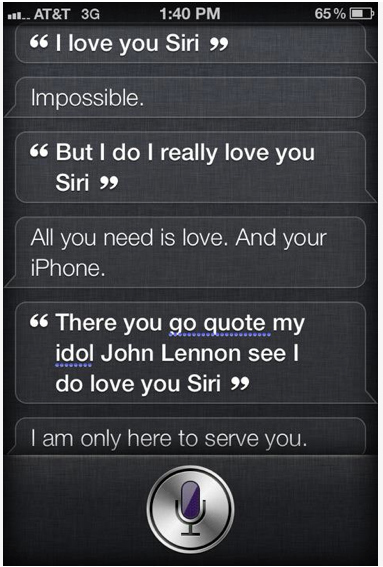 - Got to be the iPhone and it's all because of Siri. Questions? Comments? Did I get something wrong? Email me at sjh@scoroncocolo.com and I WILL get back to you. 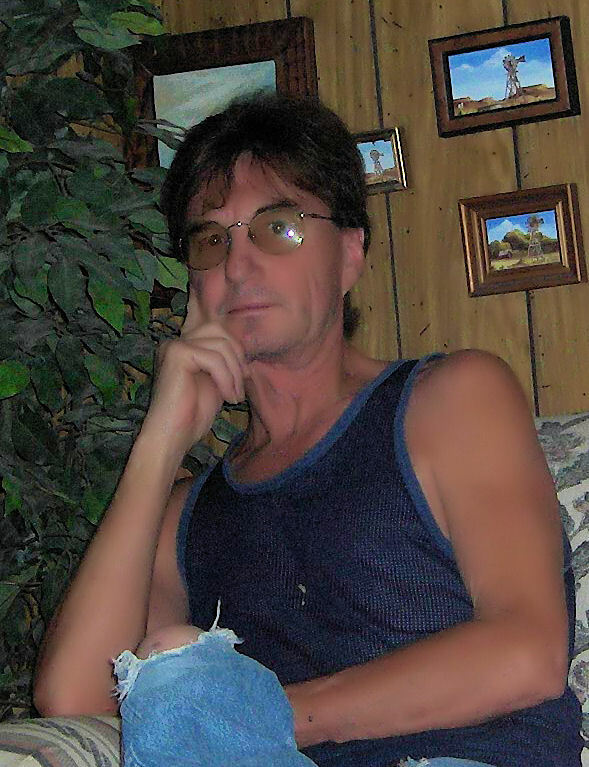 Please add this page, or better yet my entire site, to your Favorites and keep checking back. This page is a work in progress. I intend to edit it and add to it from time to time. In the meantime, if you have any ideas about how I could enhance the content of this page, please email me about it. If you see anything in this post that needs to be corrected, email me about that, as well. I'll make the changes and make sure you get credit for spotting my mistakes. If you have any questions or comments about anything in this post or any other posts on the Tech Pages, email me at sjh@scoroncocolo.com and I will get back to you. Don't forget to visit my Home Page at Scoroncocolo.com . And if that's how you got here in the first place, hit your Back button and look around. You can read my other Tech Pages posts by going to my home page and looking for them there. You can also look on the left side of this page and click on any of my Previous Posts. To make this page and all of the other of my Tech Pages easy to find, type Ctrl + d to bookmark me and come back once a week or so and see what's new.